The CBA is a not-for-profit organisation, primarily run by volunteers, dedicated to the promotion of British comic books, graphic novels, webcomics and sequential art in its many forms, and British-based and ex-pat comic creators—be they artists, writers, colourists, letterers or editors. The CBA is a completely non-partisan and impartial organisation. The organisation arranges a wide range of activities from press launches, exhibitions, gallery shows, fund-raising events, educational programs, publications and other events, for professionals and the public. To be the public face of the British comics industry and present a cohesive and unified voice while representing the needs of creators, editors, publishers, distributors and retailers, regardless of their individual specialised sectors whether it’s niche providers or huge retailers like Amazon. To promote the comic book industry in the UK and the medium of comics as a whole to the general public via educational and recreational events and initiatives. To help distribute comics in the UK and assist publishers with distribution concerns and problems. To help independent publishers and retailers survive and to grow. To address concerns about censorship. To offer support and legal advice and services to creators, retailers, publishers or individuals. To raise the funds to help achieve all of the above aims with fundraising events, publications and subscriptions. To form various strategic alliances with key organisations that are mutually beneficial to the aims of Comic Book Alliance. To promote the British comics industry abroad via international alliances with similar organisations. To supply sequential art services to educational and social schemes and various corporate and governmental agencies. 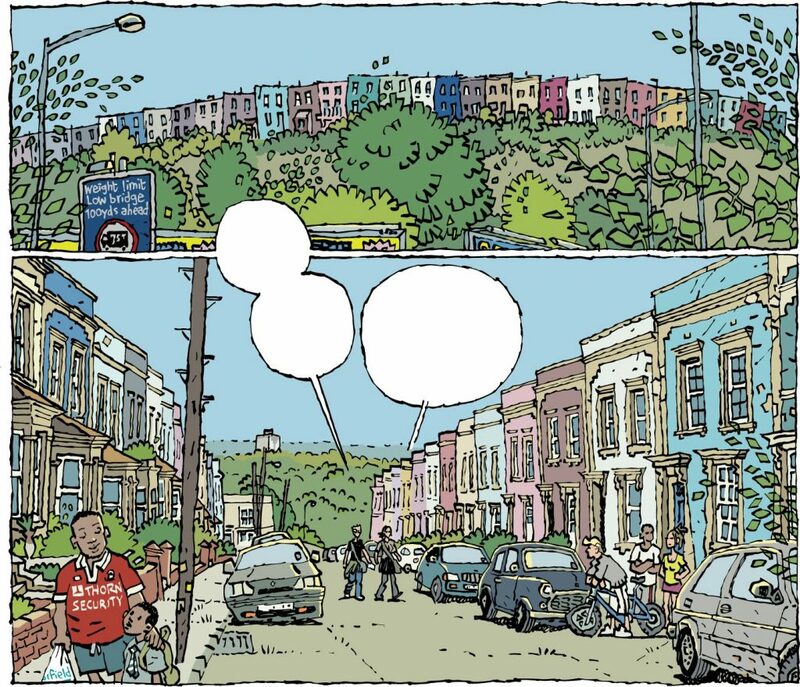 Whilst we strive to ensure print comics are still alive, well, and actually thriving, we do realise that digital versions of comics are important. You can download comics from many sources and you need a reader that lets you enjoy comics and some added features. 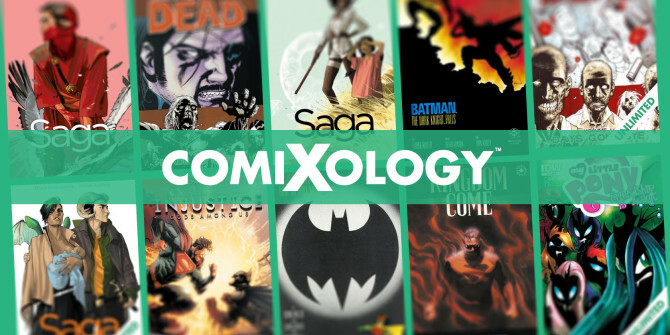 Comixology is basically the engine that runs the digital comics machine. With this app owned by Amazon you can browse, download, and read comics from just about every publisher. A lot of other apps also run on that platform, for example DC’s app is run by Comixology. Comixology works just like Amazon. You can search for comics, graphic novels, manga, and more by name, add them to your cart, and check out. You can even sign in with your Amazon account or create a new Comixology account. Up to you. The only requirement is that you will need an Android Smartphone. Fortunately there are lots to choose from including budget models and higher end devices. We asked Michael Hass from No Hassle Mobile Phones on what customers should be looking for in an Android phone and he recommended us the Honor 7S for those looking for a cheap option purely for reading comics and basic use.